Yahoo Mail is the web-based mail client provided by the popular search engine, Yahoo. Yahoo Mail organizes the email of all Yahoo users and guarantees that users have a way to receive notifications from Yahoo concerning their services and activities. Yahoo Mail is similar to Gmail and Windows Live Mail and is compatible with a number of websites and email clients, including Windows Outlook. Windows Outlook is a desktop-based email client for Windows that is included in Windows Office and allows users to manage email accounts from a variety of different providers. Outlook is advantageous because it allows users to download messages from multiple email accounts into one inbox and respond to messages using the appropriate email address. Users can download Yahoo mail into Outlook by opening Outlook, selecting “Email Accounts” from the Tools menu, and selecting “Add New Email Account”. 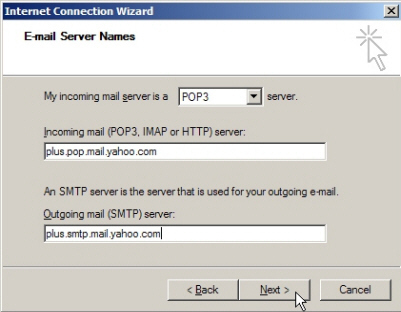 You can then select “POP3”, click Next, enter your email address, server information (pop.mail.yahoo.com for POP3 and smtp.mail.yahoo.com for SMTP), and all other user information. You can then select the Advanced tab and change the POP3 number to “995” and the SMPTP number to “465”. You should then ensure that “Log-in Requires Authentication” is unchecked, click OK, and Finish. Outlook should then start downloading all messages from your Yahoo Mail account. Note: A Yahoo Mail Plus account may be required. Thank you for all this help,,, I have plus service from yahoo and created some customized folders which emails are farwarded to… my question is how can I download the folders with the emails in them. Thanks VERY MUCH MiG !!! After many years (ever since ypops stopped working) my outlook and yahoomail meet again ! How did you figure out these server and ports ? emails get deleted from my Yahoo account, after they are downloaded to Outlook. it does not happen to me. When I delete yahoo mail it does not get deleted or go to a deleted folder – There is no deleted folder created for yahoo emails. Instead the email is then displayed with a strike out font. and there is no way to get rid of it from outlook itself. However, when I go to Yahoo account (login via browser) and delete all those email (they were not deleted from Yahoo when deleted from outlook) they go away from outlook as well. I think I can live with this. Amazing!!! it was getting me so mad that they would ask me to pay to use another server! It works with Thunderbird also and its free!!!! Sorry Guys It didn’t worked!! 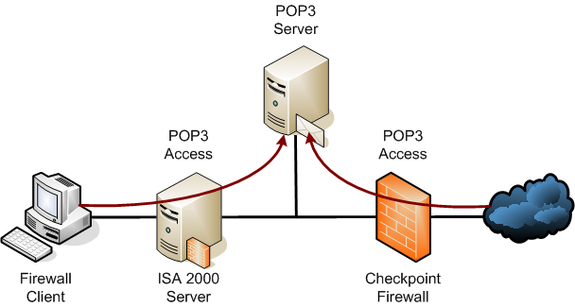 Log onto incoming mail server (POP3): The operation timed out waiting for a response from the receiving (POP) server. If you continue to receive this message, contact your server administrator or Internet service provider (ISP). 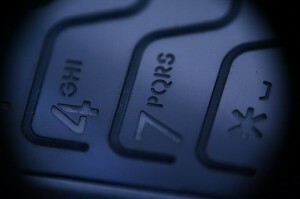 Send test e-mail message: The connection to the server was interrupted. If this problem continues, contact your server administrator or Internet service provider (ISP). your problem is you are still using POP3 instead of IMAP protocol. see my response to kristal above. any one please help me…. this worked great….thank you …but I was wondering if I can also send mail from here. I am trying your setup using imap on 2003 but keeps coming up with imap logon username and password for the yahoo account, I am typing on the correct ones any idea? Awesome! Works very nicely using native features rather than having to use ypops or freepops. Thanks for the info. It was of great help for me. I put this data in my account set up in Outlook Express. I did not try downloading emails from my yahoo account yet because I would like to set it up so that emails do not get automatically deleted from my Yahoo account when they are downloaded. I set it up that way with Webmail account I have. 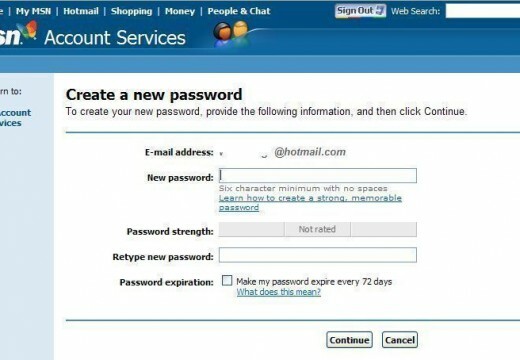 For my Yahoo account that option is not there at all. Is there a way to have that option when you set it up the way you described? This reply was supposed to be to MiG’s Aug. 10th suggestion, but I posted it in the wrong place and after posted a more updated one in the right place. Sorry for the confusion. Actually, you don’t have to upgrade to a paid Yahoo account in order to use Outlook with Yahoo. You can just set up an IMAP connection to imap-ssl.mail.yahoo.com on port 993 (SSL) for incoming email, and a secure SMTP connection to smtp.mail.yahoo.com on port 465 (SSL). Works like a charm. Works for me too. Win 7, Office 07. This worked very well partly, so far. It automatically downloaded all my folders and the emails in them (except my Yahoo Inbox content), then it appears that all the emails that it downloaded in my Yahoo downloaded Sent folder & Draft folder in Outlook, just disappeared, so those 2 folders are empty. Luckily they (& all emails downloaded) are still in my Yahoo account. How can I download the old emails that are in my Yahoo Inbox, Sent folder & Drafts folder? Should I move them to new folders in Yahoo and then somehow tell Outlook to download the new folders & their content? How would I get the new folders & their content to download to Outlook Express? It happened automatically when I started the account in Outlook, so I don’t know how to tell the system to download new folders. I did get a new email in Outlook from my Yahoo Inbox. I hope that no emails get deleted from my Yahoo account, after they are downloaded to Outlook. I would like to manage deleting myself manually. I could not find the option to choose not to delete emails from server in this Outlook/Yahoo account set up. I do have that option, which I chose, in my Outlook/Webmail account set up. I was able to get my messages from my Yahoo Inbox & Sent folder by trying the way I guessed, moving them to a new custom folder. I figured out how to get the new folders downloaded. And it appears that no messages are being deleted from my Yahoo account. Thank you very very much. It does work like a charm! Amazing! Works great! I actually couldn’t get it to work with Outlook, but I just downloaded Thunderbird and it worked perfectly. Thanks for the info. It was of great help for me. I was trying to do it very long time! Every folders is copyed and also everything on Yahoo server are on their place. Now I have backup copy of my mails on my PC!!! I can’t get mine to work when I set it up like that. I get this error message. Can anyone help? Hi Guys, anyone respond to this, I am also getting this error. Leave rest everything at default and it should work (did for me). If you need more detailed instructions as to where in outlook set these options (or what these means) then read some outlook help first or play around in outlook account settings. I still keep getting on sending the test email 530 authentication required. Can’t figure out problem, any suggestions? Absolutely brilliant protocol…. saved me hours of coping over folder contents…priceless procedure… much better than other advise out there recommending copying each folder contents into the yahoo inbox and syncronising…it would have taken ages…. 247 queries in 0.564 seconds.